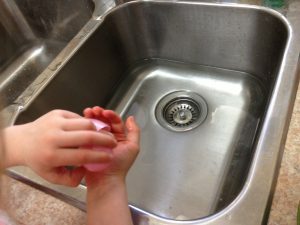 A good chunk of our afternoon was in the kitchen, not baking but at the sink with hands in warm water, for some Easter egg float-sink science fun. A winner! Do you have a junk drawer in the kitchen? We do and this experiment starts with hunting in the stuff for small items that will fit in a plastic Easter egg. We found a glass marble, safety pin, small rock, square bread-bag tag, dice, button, tiny light bulb, screw, twist tie, pipe cleaner, paper clip, and other bits. Before we did anything else, the kids thought about what might float in water and what might sink. They didn’t always agree. Next, we taped over the holes in a dozen plastic Easter eggs so they didn’t let in water. 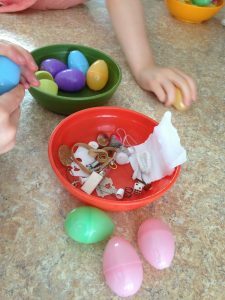 Once we’d taped the eggs, and talked over what might happen, we put one item in each egg and dropped them in the sink one at a time. After checking to see if an egg would float or sink, we looked inside to see the item. To our astonishment, every single egg floated. Even the ones with the rock and the glass marble. We certainly weren’t expecting that. Big Sister suggested putting both of them in one egg. It still floated. So we tried filling the egg with more items so the two halves would barely click. This time it sunk down a little way but not much. Little Sister liked this idea of putting in more than one thing so spent the next half an hour by playing by herself and trying the items in different combinations. 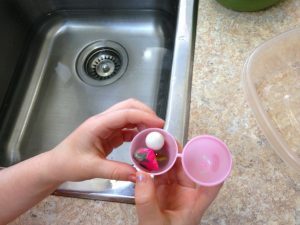 At one point, standing on the chair at the sink, she sang and hummed, “I’m doing science.” She figured out if she opened an egg and put it in the bottom of the sink to start with, then she could put an item in the egg for sinking. I’m not sure where I saw the idea for this Easter egg float-sink science fun but it was sure a hit, especially with Little Sister. 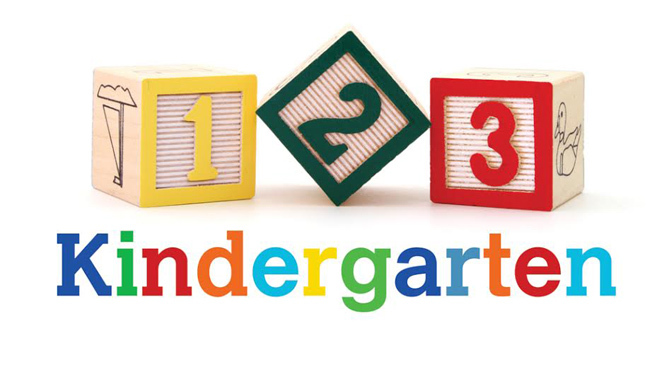 It’s wonderful to see kids direct their own play after we give them an idea. Is there a science-kid at your house who would like to try this for a play-of-the-day? What do Easter bunnies eat? 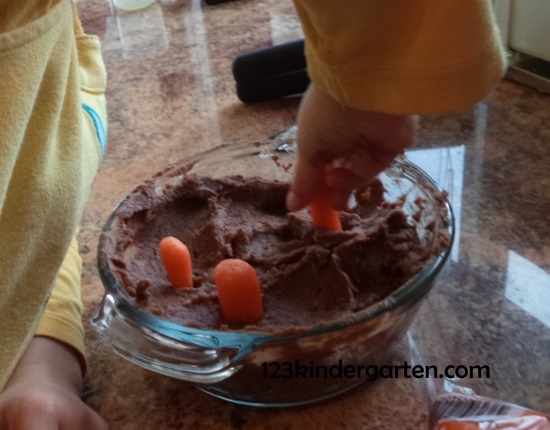 They eat carrots and here are two quick, easy, and nutritious Easter bunny carrot snacks kids can help make. Yummy too. Carrots grow in a garden, in the dirt. To make a garden, open a tin of refried black beans. Using refried beans is much easier for mixing because they are already mashed. Kids can stir in a spoon of olive oil and a spoon of lime juice. Kids do not like as much spice as adults so we only added a bit of cumin. It doesn’t take much to add a little flavor. Scoop this into a clear bowl and smooth down. 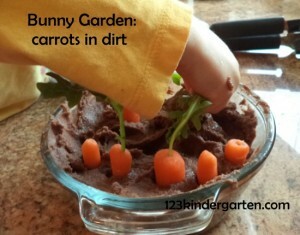 The most fun part is planting the carrots in the garden. Little Sister did this by herself, using peeled baby carrots. 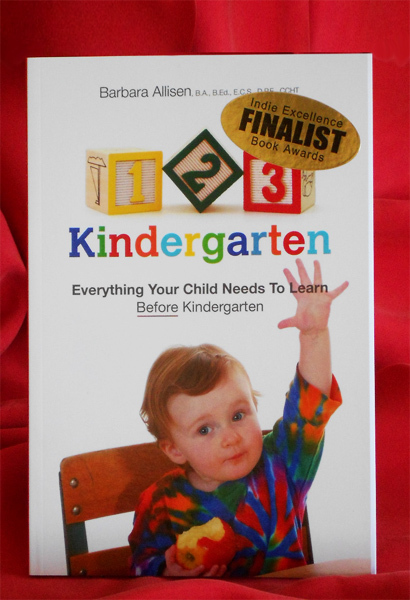 For the stem, adults need to poke a hole in the end of the carrot with a skewer. Poke in a small lettuce, celery, or spinach leaf or a stem of parsley. Rabbit-kids can munch on the carrots and dirt. For a variation, instead of using black beans, open a tin of chick peas and make hummus. Drain the chick peas, and mash. Mix in a spoon or two of lemon juice and olive oil. Add some tahini (sesame seed paste) or nut butter. We skip the garlic at our house but do add cumin. Bunny-kids can plant carrots in this or just dip and munch. 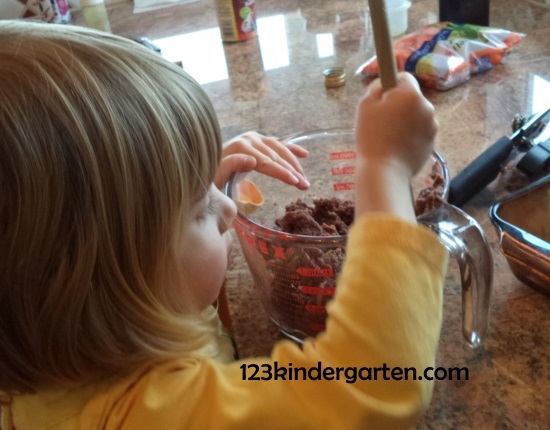 Spending time together in the kitchen and cooking with kids is both fun and learning. 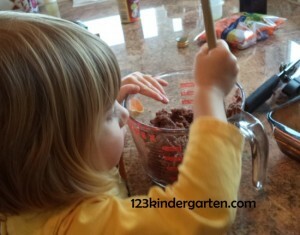 Kids can help measure, stir, and mix. Even though the order of adding ingredients is not important in these snacks, there is still sequencing. The carrots can’t get planted until the black bean dip or hummus is made. 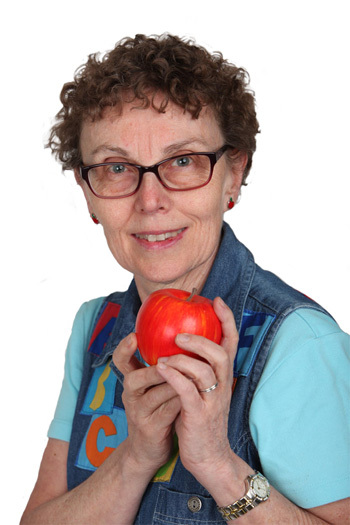 When kids are part of the preparation, they are more likely to try different foods and make better food choices. 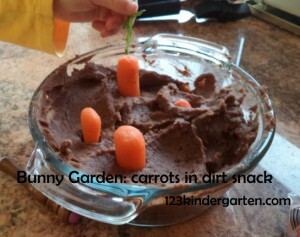 These Easter bunny carrot snacks are great for between meals or maybe could they be an appetizer for the whole family? 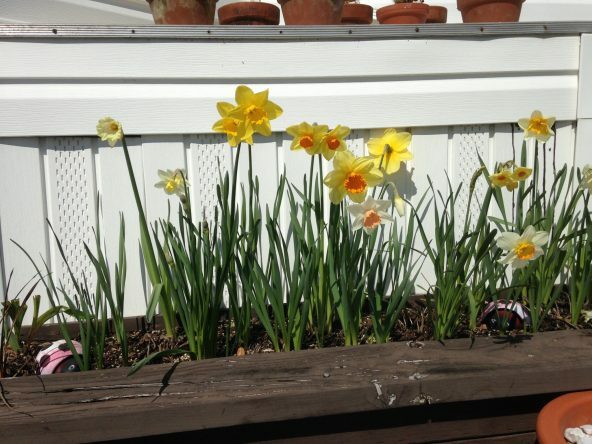 For some spring fun and learning combine kids, nature, Easter and enjoy this treat. We’ve done this activity before and were just waiting for a day to do it again! Crystal and Co calls this Reverse Easter Eggs. 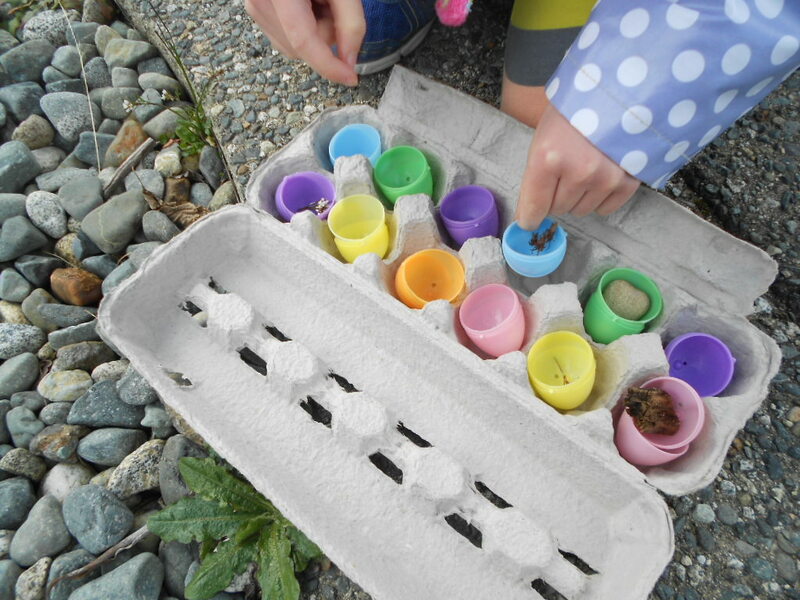 Kids start with eggs and instead hunt for things to put in them. It’s a sort of I Spy for spring scavenger hunt. 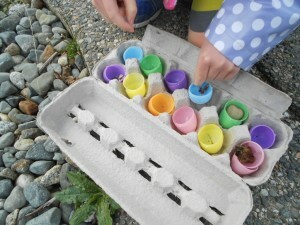 Open 12 plastic eggs and place the larger half of each in an egg carton. Using just 6 doesn’t work, because then there are 2 items in each egg when you put them back together. 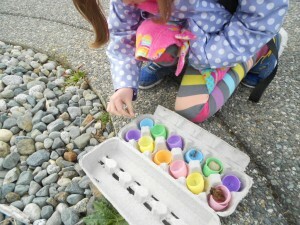 Then, dress for the weather and head outside for treasures to put in each. This is what happened last time. There were some wonderful spring surprises, like tiny little flowers hiding in the grass. Nature always has treasures such as bark, rock, twigs, dried seeds and pods, and other things down low at kid-level. Both Big Sister and Little Sister enjoyed looking for bits of nature. We tucked one item in each egg. Big Sister carefully closed them and we brought them back into the house. Opening the eggs to see what was hiding inside added to the fun. With some sun on them, the rain puddles all around were sparkling like tiny jewels. We couldn’t put them in an egg but were happy to leave them outside. 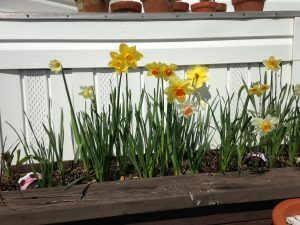 We left the daffodils outside too, almost like little suns. In a recent article for the New York Post, Naomi Schaefer Riley wrote, “nature provides a laboratory for kids, enabling them to make observations about their environment and allowing their brains to recharge.” Time in nature provides other benefits too, for physical and emotional development, like lowering stress and anxiety and increasing creativity, problem-solving, self-regulation, and social skills. Instead of treasures at the end of the rainbow, these were kids, nature, Easter and spring treasures in the rainbow colors of Easter eggs. And maybe in the heart of a child too? Kids Valentine Movement Activities – Kids Love to Move!